The Peanut is totally in love with crystals, rocks and fairies - of course!!! A girl after m own heart, she is equally in love with science as well as her creative side. 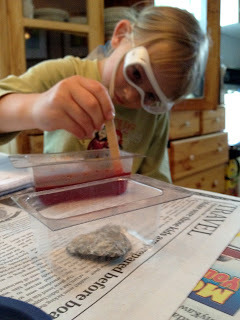 So when she scored a crystal making kit from a friend... the little scientist got to work! Great glasses! The gardens (and the weeds) love the sun!